Mike Sharrow is back for Part 2 of our interview. As you likely gathered from Part 1, Mike leads C12 one of the largest and most successful organizations that put together groups of like minded, and similarly staged groups of Christian CEOs for local community, fellowship and best practices. Think about all the things you've heard about YPO, but imagine something better :). If you're only going to listen to one of the parts of the interview (but why would you??) , listen to this one. The team asks Mike to share his observations on what’s happening in the marketplace from a faith perspective. Mike shares the fact that the Post-Christian era has people desiring authenticity in faith expressions. In fact, according to him, they hunger for it. 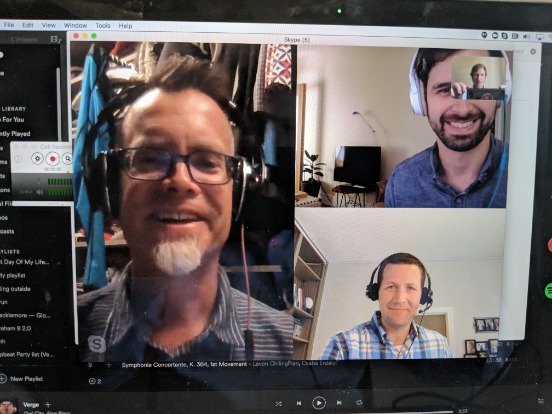 C12 is seeing a tide lift in activity across the globe of more people wanting to live authentic lives for Christ at work as well as at home and in church. Mike goes on to share how C12 seeks to guide members towards accountability and integration. According to him, it’s not just what you’re doing but how you’re doing it. Jesus taught through disequilibrium. C12 is about keeping members in a healthy state of disequilibrium so that they can learn continuously, a key skillset for any business person. C12 really assists in the personal transformation of individuals as it addresses the whole person – all of one’s life is bought together in one place under Christ. We hope you enjoy this week’s podcast and we’d love for you to tell us how you are pursuing the integration of your work, faith, family and community in your daily lives in the comments section.